The Soul’s Harbor campus sits out in the country off of Highway 175 and Beltline Rd. Unsung and unheralded, yet in it’s day perhaps the most effective Men’s shelter ever devised. Soul’s Harbor is a non-profit, non-denominational institution which makes men out of half-men. It all began with a man named L.E. 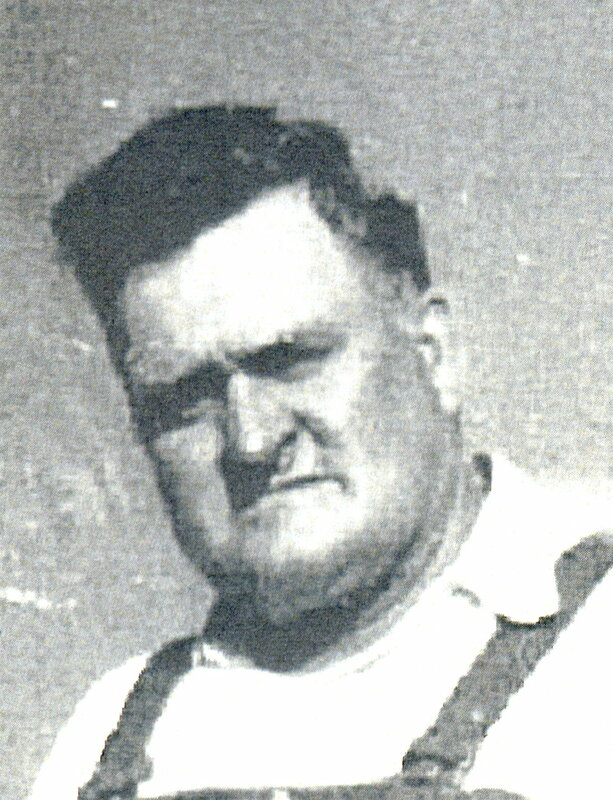 “Jake” Stembridge who liked to wear overalls and help his fellow man. For a number of years he had been visiting missions and was disturbed by what he saw. Mostly, he saw desperate men taken in for the night, given a meal and sermon, then turned out on the street once more to fend for themselves and the same problems all over again, alone. Jake knew there was a better way, perhaps a “soul’s harbor” where a man could stay for a spell, think and evaluate his life and maybe do something to make positive changes. Jake didn’t have the resources for such an endeavor so he took his vision to a successful Dallas businessman by the name of Ralph Whittle. Mr. Whittle agreed to finance the project and Jake set himself to the task of making the dream a reality. 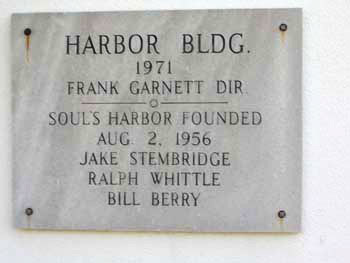 In the spring of 1956, with Mr. Whittle’s financial assistance, Jake purchased a small cottage in Kleberg, visited a couple of Dallas missions and invited a half-dozen men to share his “Soul’s Harbor”. At the cottage they worked, regained their self respect and turned their lives around. These men eventually left and more came. Jake’s success of rehabilitation amazed everyone. As they grew, Mr. Whittle’s construction company built more buildings to accommodate the men who were coming but soon it was obvious a method of financing The Harbor other than Mr. Whittle’s support was needed. Jake began seeking out discarded items which could be repaired and sold. To this day, Soul’s Harbor is financed through resalable donated items, monetary donations and proceeds from our four thrift stores. 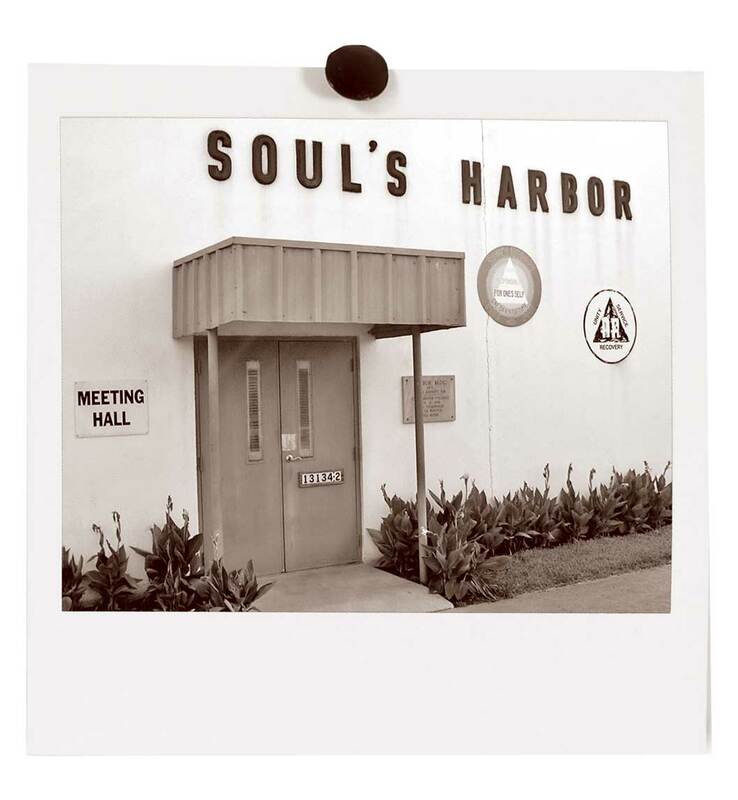 On August 2, 1956, Soul’s Harbor was chartered as a charitable, non-profit institution. A seven man board of directors was established. Three members of that board were alcoholics who had recovered. A method of financing was needed so Jake began seeking out discarded items which could be repaired and sold. The institution still is financed by resellable donated items, monetary donations and proceeds from our four “Soul’s Harbor Thrift Stores”. Soul’s Harbor has men from every walk of life. Today, Jake’s dream has evolved into a campus of two dormitory facilities that house 60 men, the small cottage where it all began and the executive director’s home. A dining hall, meeting hall, warehouse, indoor recreation area with: television; gaming activities; a clothes closet for men who have no more than the “…clothes on their back…” to receive clothing, at no costs. The Soul’s Harbor institution operates four “Soul’s Harbor Thrift Stores” which are located in the cities of Ennis, Ferris, Seagoville and Waxahachie. Soul’s Harbor is more than a shelter. Soul’s Harbor offers a six-month program that should provide, for the men, the basic tools that will help facilitate them to become reintegrated back into society. We have Work Therapy, Relapse Prevention, Overcomers (faith base 12 step), Life Skills, N.A. and A.A., Anger Management, Bible Study and a Prayer every morning to start our day. If a man utilizes the tools that have been provided him within these six months, he should leave Soul’s Harbor with a job and a place to live. Thank you so much for your financial consideration. Note, your tax-deductible contributions may also be submitted through PayPal to gro.s1555898392allad1555898392robra1555898392hsluo1555898392s@eta1555898392nod1555898392. *Please note: Users of Internet Explorer 8 and above may experience difficulties with our PayPal “Donate” button. Please access PayPal directly to make a financial contribution to Soul’s Harbor, Inc. Thank you!